As a squad that prides itself on playing tough, relentless defense, the No. 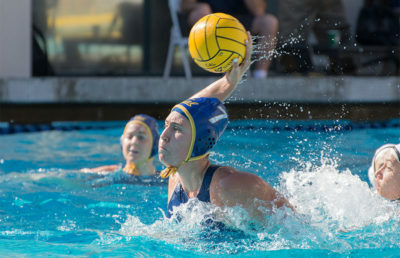 5 Cal women’s water polo team showed off its prowess in that area Saturday afternoon, and in a big way. It ended in a loss, but the Bears held No. 2 USC (26-1 overall, 4-1 MPSF) to its lowest-scoring game of the season in a 6-3 match on Senior Day. 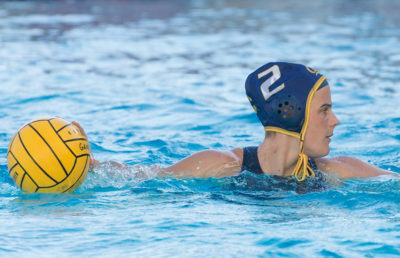 In the final home game of her career, Cal senior goalie Madeline Trabucco had a game to remember. She tallied a career-high 12 saves, which included some incredible blocks at point-blank range. Against the team that leads the MPSF in scoring at 15.92 goals per game, Trabucco kept the Bears in the game from start to finish. Cal was locked in on defense right out of the gate. Trabucco turned away the Trojans on their first few possessions, and the Bears put tremendous pressure on the opposition, leading to turnovers and general indecisiveness from a usually dynamic USC offense. The game remained scoreless until late into the first quarter, when redshirt junior Anna Illes gave Cal a 1-0 lead. The Bears continued to demonstrate high intensity on the defensive end, and they did not concede USC’s first goal until there was 3:04 remaining in the half. Instead of trying to power through Trabucco, senior Brigitta Games dropped a finesse shot into the bottom right corner of the net to tie up the game. In the third quarter, the dormant Trojans offense finally erupted. USC scored four unanswered, including two goals on back-to-back possessions by freshman Maud Megens. That stretch, in total, gave the Trojans a 5-1 lead and they began to pull away. While redshirt junior Dora Antal answered with a score later in the quarter, it was simply too little, too late. USC senior Ioanna Haralabidis delivered the last blow with 3:21 left in the fourth, and the Trojans hung on down the stretch to seal the win. Games, Megens and Haralabidis each scored twice, while sophomore goalie Amanda Longan recorded 10 blocks for the Trojans. USC will close out the regular season at home against No. 3 UCLA in a game that will significantly impact the seedings in the MPSF tournament. The Bears finished the regular season at 14-7 overall and 2-4 in conference play. Some notable achievements did come out of this loss, however, as two Cal players reached significant milestones. Trabucco’s dominating performance moved her into fourth place on the school’s all-time saves list, and Antal’s two goals placed her into a tie for fourth on the Bears’ all-time scoring list. 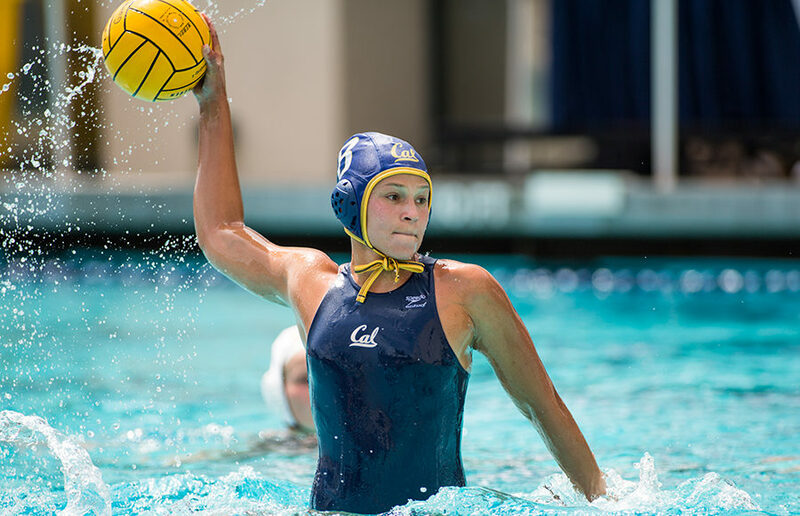 While the loss secured a fifth-place finish in the conference for Cal, the Bears should hold their heads high heading into the MPSF championships. They kept it close against a great Trojans team, and their tough defense will play to their advantage in the postseason. With two weeks left until the tournament, Cal should take advantage of the upcoming bye week to make the necessary adjustments to pair with its excellent defense. Leo Liu covers women’s water polo. Contact him at [email protected].